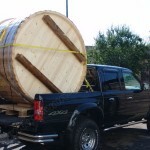 You be able to organize your Wooden Hot Tub Spa picked up from our warehouse or have your own carrier company pick-up the goods on your behalf. 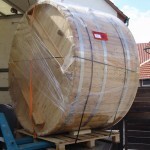 Our customers are welcome to pick-up their ordered goods at our warehouse in Baden-Württemberg, where you can convince yourself of the quality, compare the different sizes, get all the answers and even “test” a hot tub. 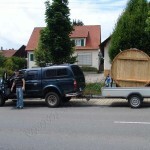 For the pick-up you need a trailer or truck depending on the size of a tub and straps to secure the load. 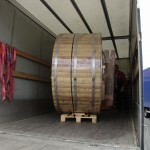 We will prepare and load the goods for you free of charge. 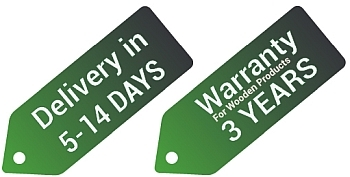 With this delivery option we are not able to guarantee an exact delivery date and time. 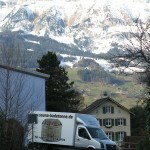 Deliveries are made on working days only (Monday to Friday) and experience has shown that delivery is normally within 5 – 10 working days from the time of shipment. 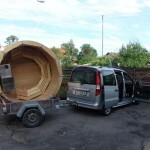 By agreement it is also possible to order smaller truck with a liftgate. 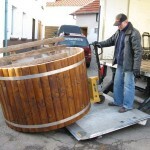 We deliver the Wooden Hot Tub Spa personally + one-hour advisory session. 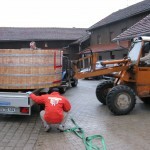 This delivery method is the most flexible. 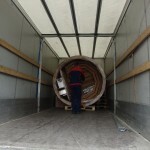 Choosing our service, the goods will be delivered by our team at the exact date you need or whenever it is suitable time for you, including early mornings, late nights and weekends. 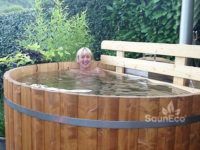 Our price includes tips for using a hot tub and a 1 hour consultation and instructions along with answers to all of your questions. 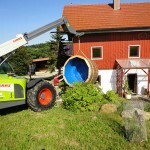 As our hot tubs will be delivered with a smaller truck equipped with a liftgate, we also provide unloading for wooden hot tubs for up to 200 cm, unloading is included in the price. 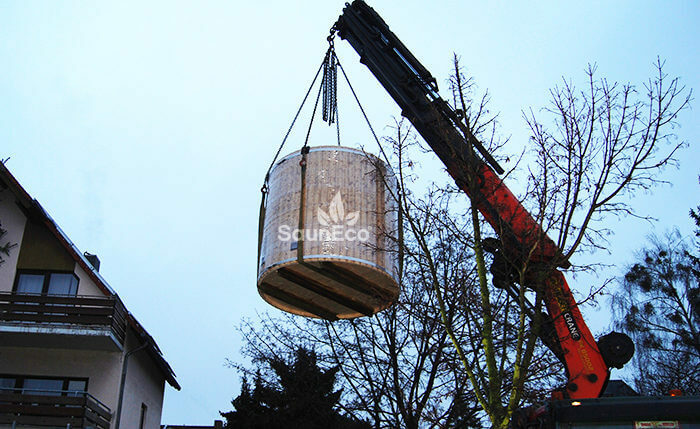 For a larger hot tubs it is necessary to organize a forklift, tractor, crane or some other machine to unload the hot tub. 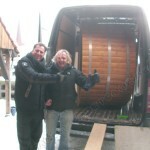 If really needed, it is possible to unload the hot tub with 5-6 strong men as well.